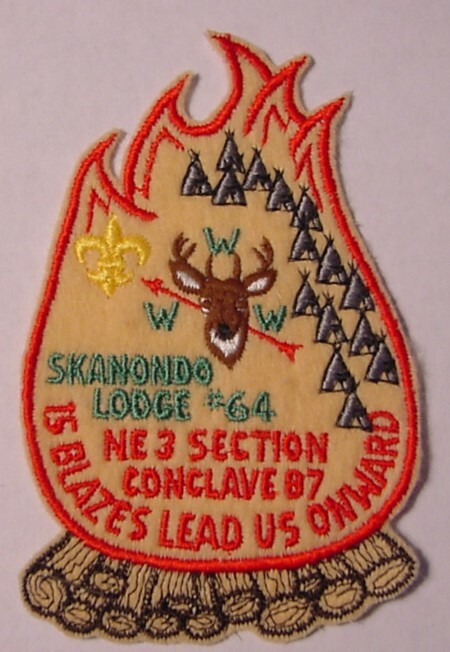 George Jennings sends along another Section Conclave Patch from Section NE-3. 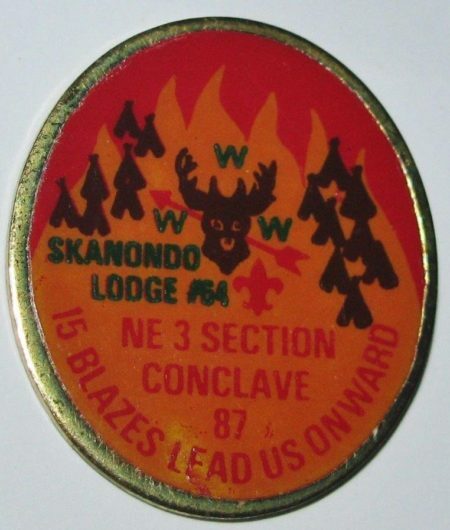 This one is from1987, hosted by Skanondo Lodge #64 and was held at Camp Ranachqua, Ten Mile River Scout Camps. 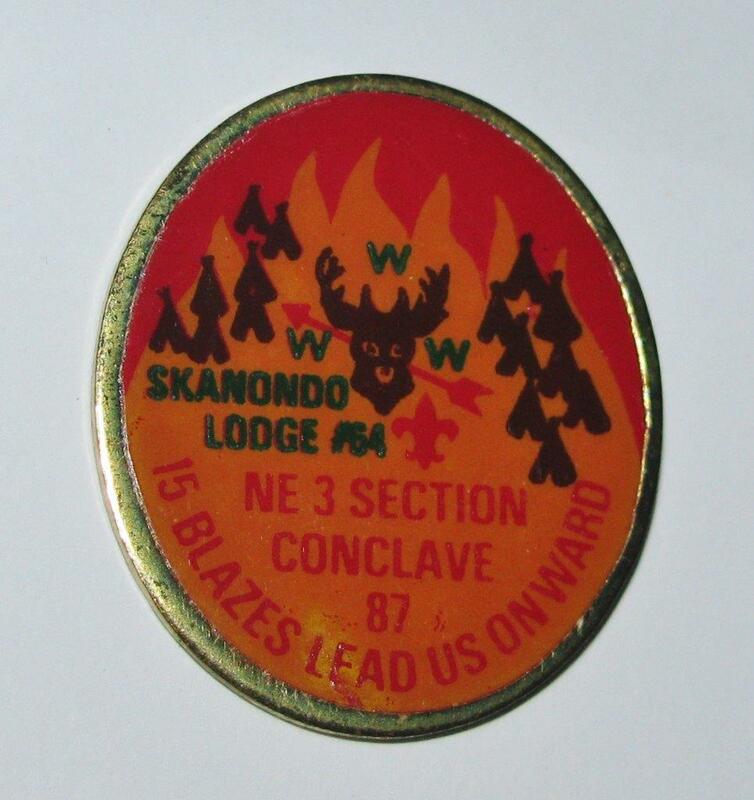 To the best of my knowledge, this was the only item issued for this conclave. Update March 2017: There was also a pin issued for the event. Thanks to Mia Hubbert for the image. 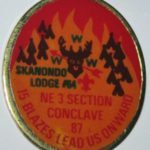 As an aside, this was the first Section Conclave I attended and marked my return to Patch Collecting after an 6-8 year hiatus. It was also the beginning of my contact with collecting on a more organized basis. A few short months later, I attended my first Trade-O-Ree. 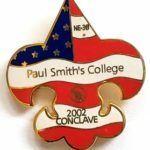 Apparently there was also a Pin issued for this conclave. I have one in my hand right now. Thanks Mia, added the image to the post too.